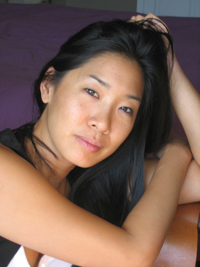 Tina Chang is the author of Half-Lit Houses and the co-editor of Language for a New Century: Contemporary Poetry from the Middle East, Asia and Beyond. The New York native was appointed poet laureate of Brooklyn in 2010, and has previously earned honors including an award from the Academy of American Poets and a residency at the MacDowell Colony. Chang’s new book, Of Gods & Strangers, is forthcoming in 2011 from Four Way Books. This recording is available for noncommercial and educational use only. All rights belong to the author. © 2008 Tina Chang. Used with permission from Tina Chang.